Is it better for a horse to be kept in a stall, a paddock or a pasture? 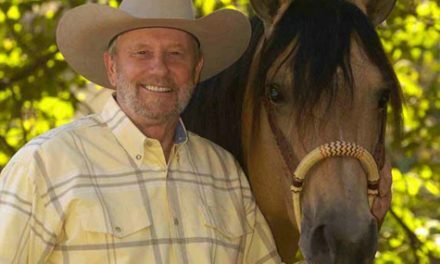 Sometimes we don’t have a choice but when we do, it is best to consider what is right for your horse. I am fortunate to have traveled many places including the Midwest and back east. They have a really neat system in that part of the country but it requires quite a lot of property. They have stalls that the horses go into at night and then during the day, the horses are turned out into one or two acre pastures. They put four or five compatible horses together. The horses can move around and graze all day. During the winter, heavy coats are left on during the day. One facility may have six or eight areas like this. Here in California where large pieces of property are very valuable, they often have homes on them and are too costly for this type of facility. Particularly in the Bay Area, there is not much property left for spreading out with large barns, paddocks and pastures. My ideal, if I had my wishes and the land, would be a good sized turnout of about 100 by 250 feet with what I call a run-in for each horse. A run-in is a covered area where a horse can go in under shelter from the weather, whether it is the hot sun or a storm. That way the horse can be outdoors and still be safe and have shelter. Horses pastured together can get hurt. This system keeps the horses apart but outdoors. This would be my ideal but we do not live in an ideal world. In the last 35 years I have seen many horses in training and most have been kept in stalls. I have only seen one or two instances where there was an issue. Problems include stall cribbing, chewing and kicking. Those were horses whose owners did not come out often to work with them or put them in a turnout. The horses were in 12 by 12 foot stalls for three or four days at a time. In my experience, horses in training that are being worked almost every day with only one or two days off, are happy to be in their stalls. 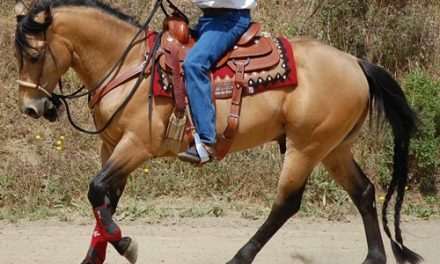 Here at the ranch, most of the horses get worked several times each week, are ridden by their owners in class or around the property, and get time in a turnout as well. Working includes arena work and trail riding up the side of the canyon. Also, I have some large paddocks and horses are routinely moved about to spend time outside. Another consideration relating to where to keep a horse, is the condition of the ground in the winter. Some places can get very muddy and mucky in the winter. A horse may be better off in a stall during the winter. Standing in wet mud for weeks at a time can cause hoof damage. I have clients that keep their horses in pasture during the summer and bring them to me for training during the winter months. The horse is out of the mud and stays dry. The owner gets to ride in the covered arena without worrying about slick trails and wet tack. Also, many horses, particularly older horses, do lay down at night to rest their legs and feet. Having an older horse in a warm stall rather than outside on the cold ground can be a significant consideration for some owners. I think overall that horses do better mentally and emotionally when kept outdoors but being kept in a pasture will not cure all the behavioral problems a horse may have. Sometimes a horse is put into a turnout just to get the freshness off. The horse may run around, kick and buck, and really let off steam. However, once you start lunging the horse he can still be fresh and unruly. 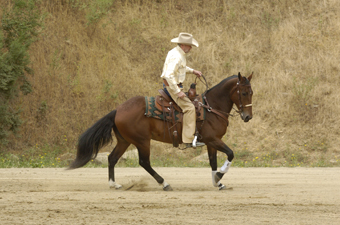 Time in a turnout or pasture without proper training will not keep a horse calm and responsive. Every horse is different and meeting the needs of your horse should be a consideration when you decide where to stable. I hope this discussion has given you food for thought. PreviousWhy Do Some Farriers Succeed and Others Shoot Themselves in the Foot?